The Pythagorean Theorem is one of the most interesting theorems for two reasons: First, it’s very elementary; even high school students know it by heart. Second, it has hundreds of proofs. 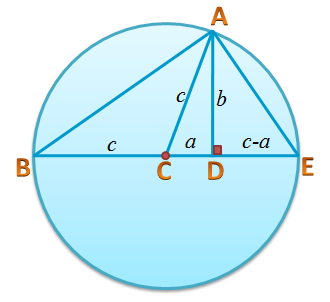 The proof below uses triangle similarity.